Christmas may be long over, but winter sure isn't! I am sincerely glad to live in a true four-season state. I would really miss not having a snowy winter. Though should it still be snowing in April, ask me again. I daresay I may have an entirely different opinion by then! we will have winter here in Ohio for a long while longer. 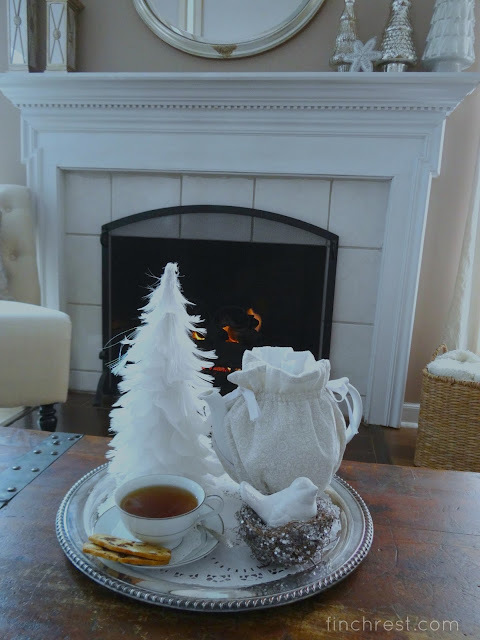 a pretty teatime in front of a fire and just enjoying the season. And why not just make it pretty for oneself? and still have more to go! Things are finally beginning to take shape down there. It appears as though our sweet wee grand likes winter as well. 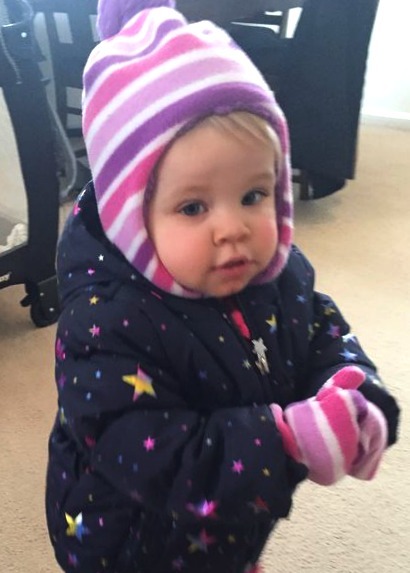 She's getting all bundled up to go out and play! knitted hat on Christmas Day. and poinsettias on her wool knit dress! even though it's more than a bit behind. She's growing so fast. She's 1.5 years old already! She seems to really love music. And that really makes my heart sing! and silver decor up around our nest. Why not just keep it out- when it still looks just like it outdoors? as this one is getting much too long. But please forgive me if I don't get around to it. after a recent snow storm. It is so peacefully quiet and beautiful. As always it is such a joy to visit. The tea setting is a delight. 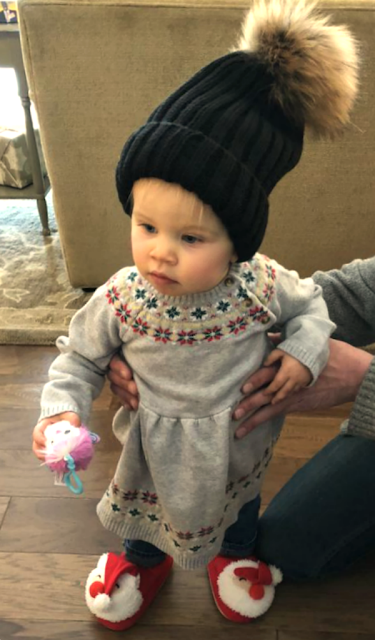 Your Grandaughter is growing up so quickly, she is adorable. We have had a little snow that went as quickly as it came, more is predicted for tomorrow. 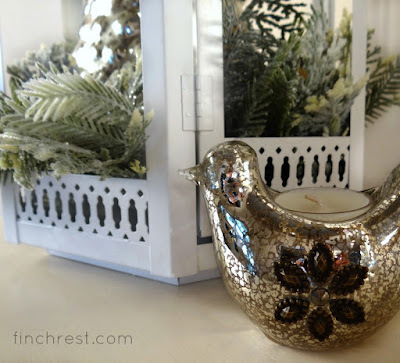 Beautiful Winter decor. It is frigid here, too, but the the temperature range can be extraordinarily wide. It can be 51 degrees one day and 20 degrees the next with snow! 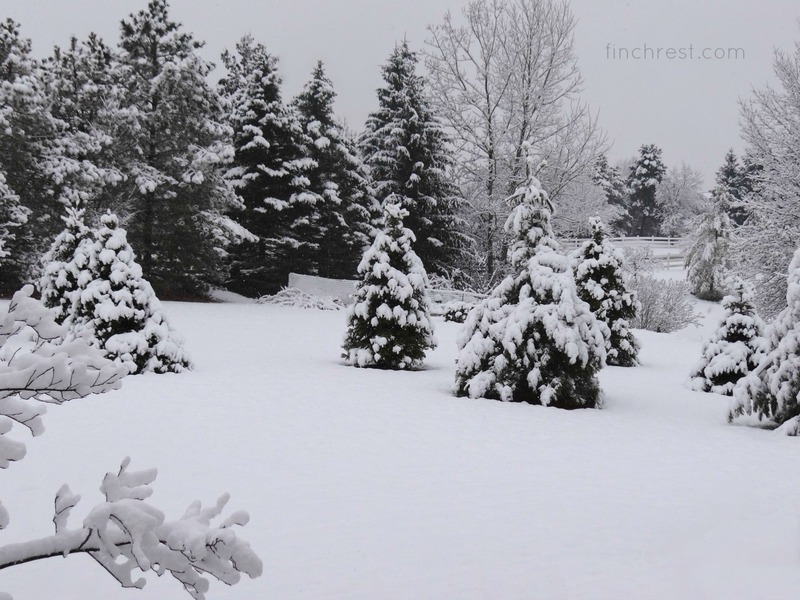 Your photos of snow make it look like a fairyland. The photos of you grand playing the piano is priceless! Thank you! Your little grandgirl is just darling! 1-1/2 is such an amazing age to watch. They are learning so much and in awe of everything at that age---and still snuggly and loving when tired or they need you. Enjoy every moment of that babyhood- it goes WAY TOO FAST! Your little granddaughter is growing so much and is so cute, Michele. I love all your snow photo's and we did get snow here ONE day last month, it was so pretty! Hi Michele. lovely to have your company for Mosaic Monday this week, your sparkly, frosty, winter whites both inside and out are wonderful. We had about 7 actual snowflakes drift down this morning, that's the extent f our snowfall so far this winter! Could I just gently remind you that MM is a meme for photo mosaics and collages so if you could please include one, it only needs to be one, in your next link up post that would be wonderful. 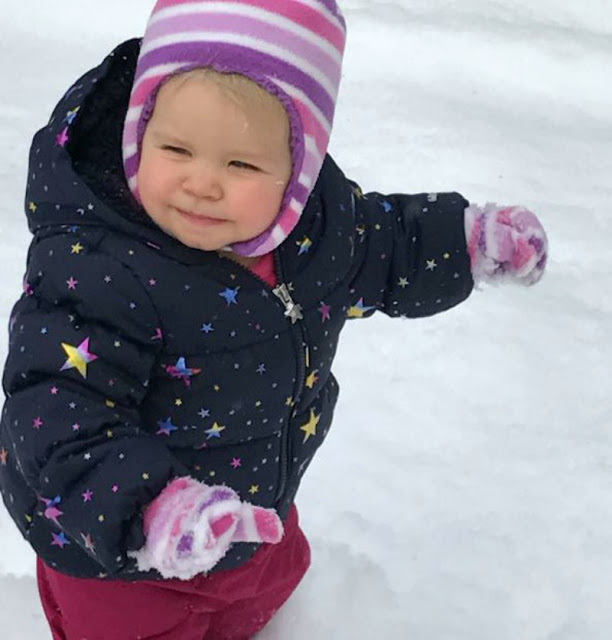 BTW Your granddaughter is adorable, just look at that pretty little face enjoying the snow. Oh lol i had one, must've forgotten to ADD it, oh brother. So much for doing it too late at night, haha. Sorry, Maggie! I experienced the snow while caring for my mom, Michele. I'm glad that you're embracing it with your decor and your most lovely teatime. Your little granddaughter is such a cutie and I know brings you such joy. I was with my two youngest granddaughters yesterday, and loved that special time with them. Michele, Your winter wonderland is amazing! I can only imagine how beautiful it must be to look out the window and see snow covering everything... just beautiful!!! Your granddaughter is so adorable. Happy Tea Time , enjoy! 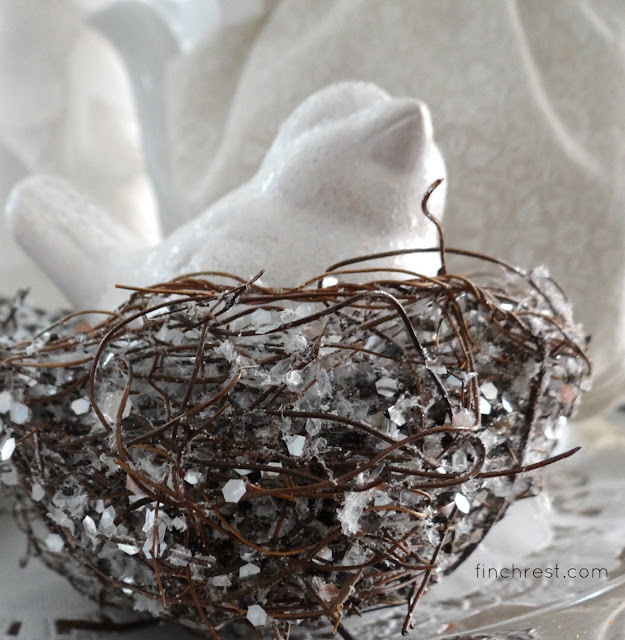 Great and beautiful Winter vignettes!So cute Grand!Hugs! Your grand-little is adorable. They grow up so quickly. The shoes!!!!!!!! Wonderful winter decorating. My snowmen are still up, but temps will hit 70 tomorrow (for just one day). Guess I should say farewell to the snow people for another year. Happy Monday. Its good to embrace each season! Your winter decor is lovely, and feels peaceful and serene. 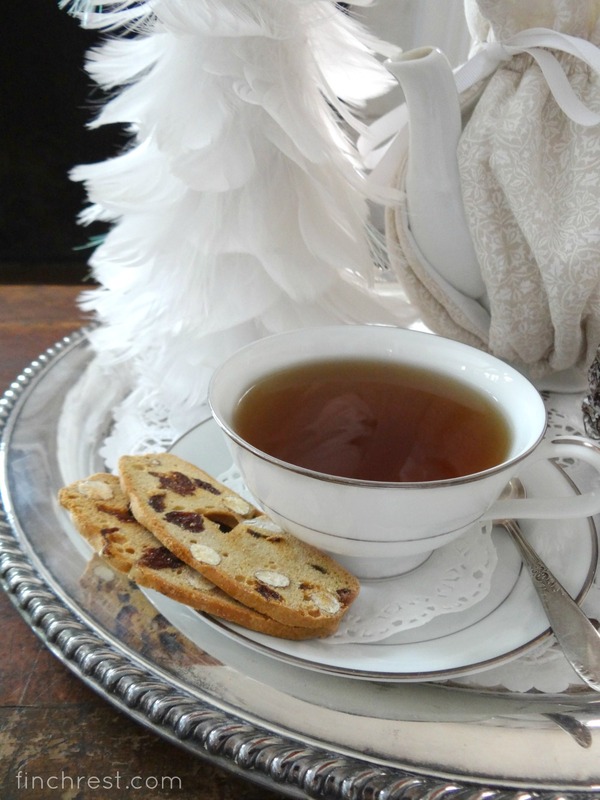 Having tea on a cold snowy day sounds perfect! Your little one is a darling,and I know she is the light of your life. As pretty as the snow looks I am so thankful we don't usually have much. We had about 5-8 inches the first week in Dec. It was one of the prettiest snows I have seen but hopefully that is it for us in North GA. I am a Spring person and could get used to that year round. What a cutie pie in her snow outfit. She is really growing and such a doll. She can make your heart melt in any weather. Right? Your sweet granddaughter is too cute. She has such a sweet face. She is only a short few months behind my granddaughter Charlotte that will be 2 in June. They are just so much fun at this age. I am trying to tolerate the winter months here in Illinois too. We have about the same weather patterns. We have been getting lots of snow the last few days. I have to say with the sunshine today the snow has a sparkle to it. Very pretty. I still cannot wait for Spring to arrive. Hoping we see an early Spring. Have a great week. 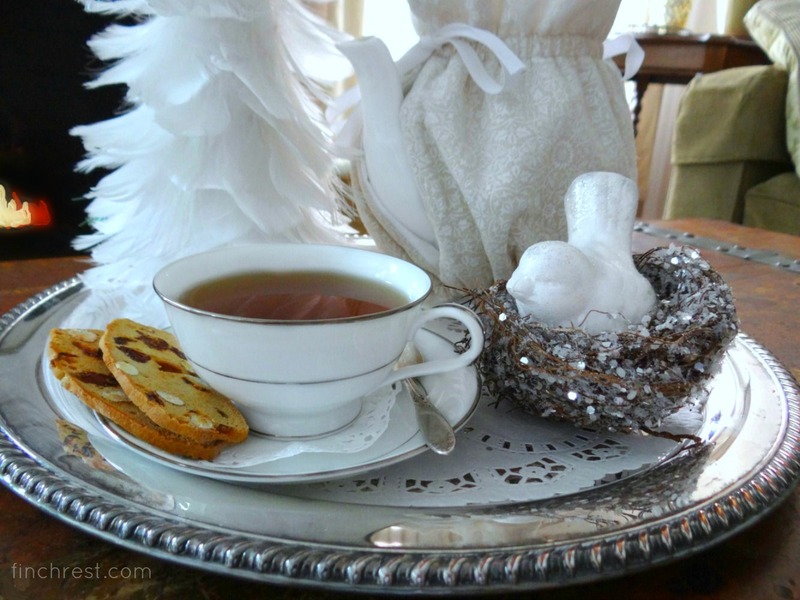 Well as a devout Winter Hater, I have to admit that your tea party for one and your pictures are pretty :) We've been fortunate here in IL to be mostly dry until yesterday and this week . . . I was out shoveling in 0 degree temps at 6:30 this morning and it did not make me smile :( Your little grand is adorable -- isn't it amazing how kids don't seem to feel cold or heat??? I enjoyed watching your snowy video. No snow here, but last year on this very day we had a snow day from school (very rare). 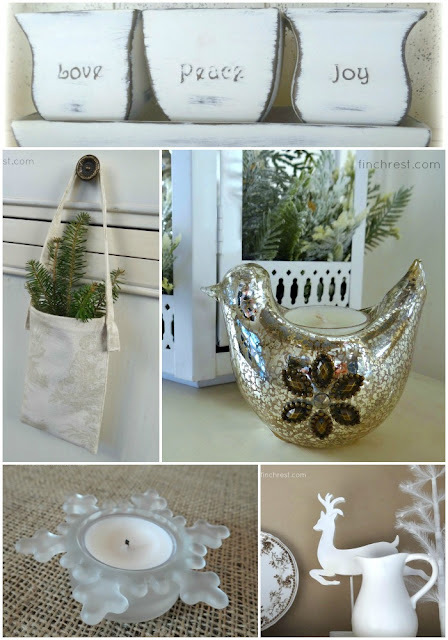 What a pretty collection of winter decor items you have. 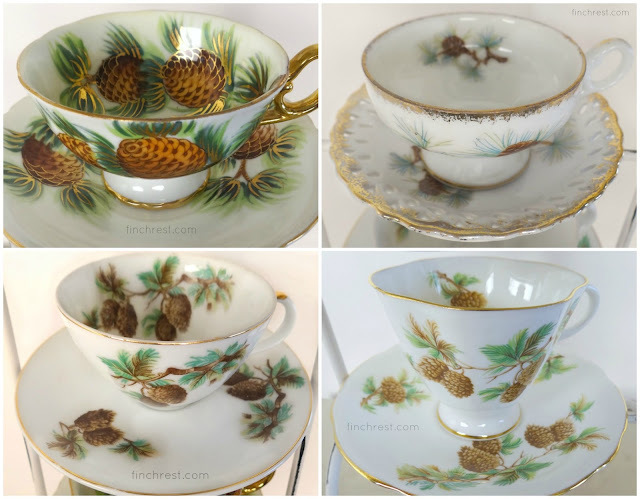 I especially like the various pine cone themed china tea cups. 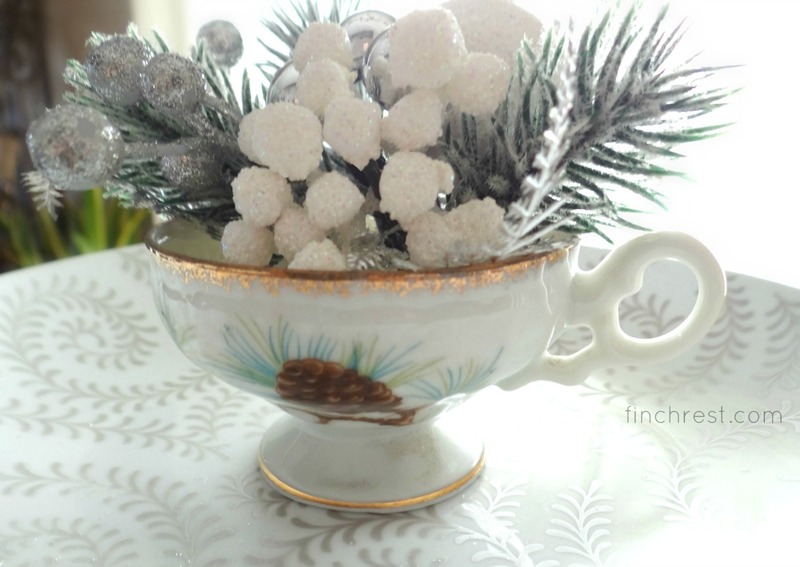 Perfect for a winter tea party! Hi Michele! I love seeing your winter wonderland, but must say I'm glad it's there and not here. We also have four seasons, but typically not a lot of snow. I was anticipating spring as soon as Christmas was put away insofar as decor is concerned, but I enjoy the downtime winter offers. 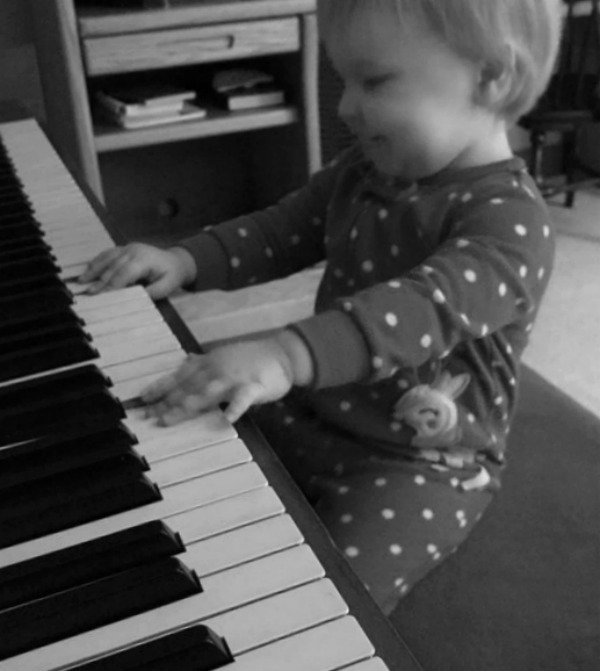 Your baby grand is so precious! It's good to hear from you. Take care. Michele, You have captured a peaceful snow falling scene. I love the white decor. 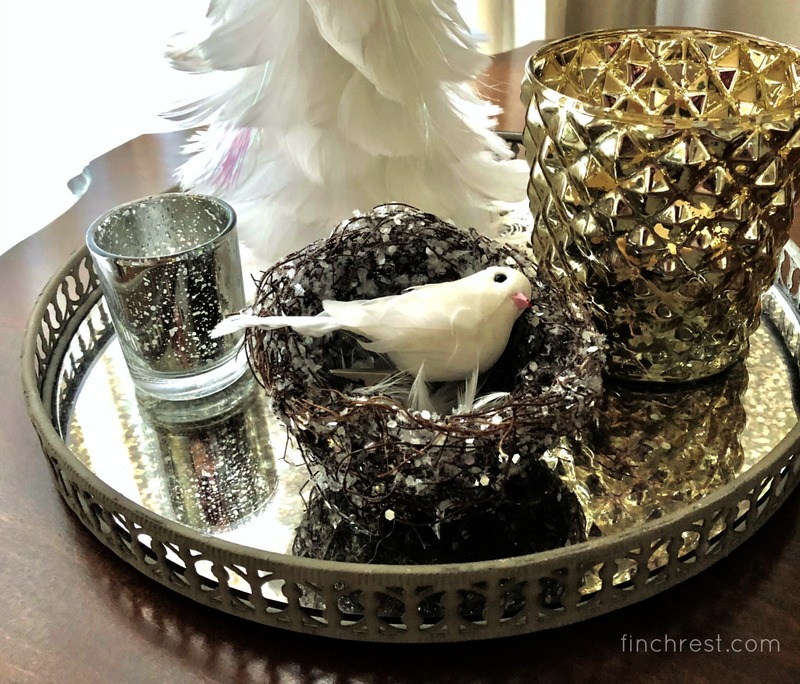 I love the mercury glass bird tealight holder. Thanks for sharing. Sylvia D.
There is something so precious about toddlers in snow suits! A wintry teatime for one is perfect on a snowy day... You dressed it up beautifully. Your little grand daughter is adorable ...Such precious pictures. Thanks for sharing. It's still very cold here also in central Missouri. Down in negative temperature lots nights. However no snow. I need to clean out my storage room also its just a mess. Your baby girl is adorable and since I don't have a granddaughter I really think shes a doll. Michele, beautiful post. AND granddaughter! So glad she's interested in the piano. 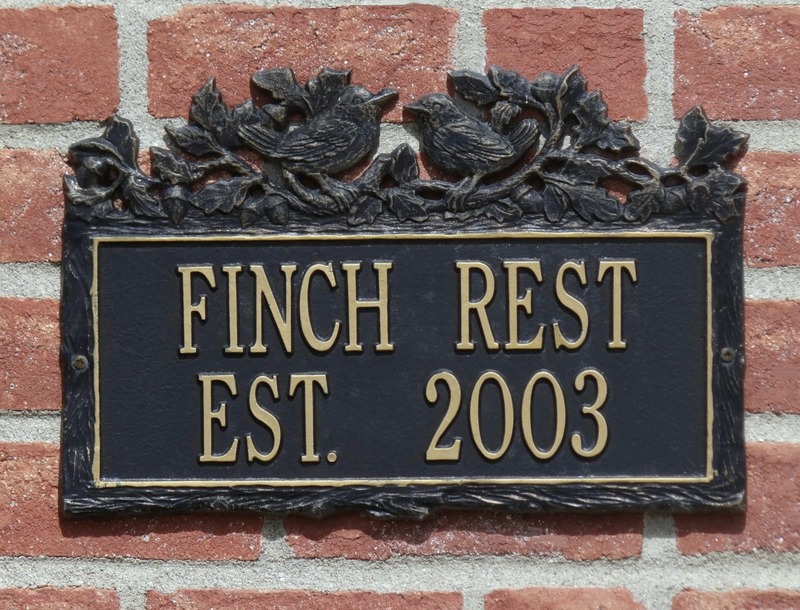 Your talk of snow and how long it might last reminded me of one spring trip years ago from Michigan, where there was barely a hint of spring, to Williamsburg Virginia, where the dogwoods were in bloom and it was definitely spring. Just watching the changes as we went through Michigan, then Ohio, and so on, was fascinating. Lovely vignettes and tea cups. Can't believe your grand baby is that big. 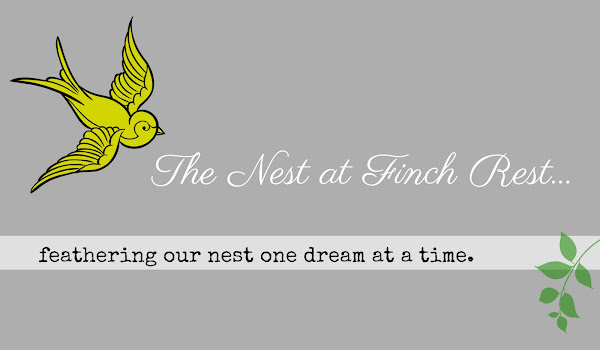 Since my blog roll went to la la land I have missed some former blogging friends. Saw you on Judy's sidebar and wanted to say hi. I am always so cheered and inspired by people like you who live in snow, and love and appreciate it. The scenery you show in your video is utterly beautiful. I live in Southern California. Clearly we do not get snow, but worse, we don't even get cold weather. In January everyone is wearing tank tops, shorts and flip flops. So I am deeply appreciate of you sharing your winter beauty with me, and everyone else. Your grandlittle is adorable; I have pictures of my neices at that age in their snow suits from my winter visits to Indiana. Classic and precious! Always so great to see a post from you. I do remember the snow storms we had when I lived in Ohio. Oh how I hated them, of course we are going back to the dark ages LOL. Now with all the modern things, I am sure that the roads get plowed much quicker than when I lived there. But you did bring back many memories. Your darling little granddaughter is beautiful and looks so cute in her outfits. Treasure each moment as they grown up so quickly.